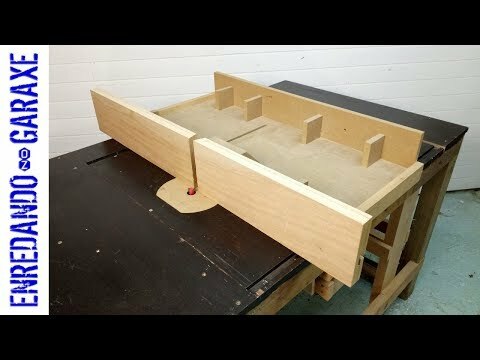 An old video showing how to improve my router table fence. I make a plywood fence and I show how to make a T groove so I can clamp it to the old fence. When I made my router table fence, I decided to install a zero clearance insert. The problem is that I've put a very thin insert, so when I use the router table I get a crooked routing in the head of the workpiece. This things happen when making our own woodworking tools Sometimes we make some absurd mistakes. So in this woodworking project I try to improve the fence.